Please visit this page regularly for updates on events at the winery. Sorry, a rule for all our events: no outside alcohol allowed for licensing reasons. We can lose our license if you do drink other’s alcoholic beverages. We appreciate your understanding. We align with some (local) charities for certain events for which donations are appreciated. These are mentioned with the specific events. Thank you everyone for attending our 2018 events, making it a wonderful season for al of us! We will publish our 2019 events in the spring of 2019. Join us anytime this Easter Weekend for Eggstravaganza. Pick an egg at checkout and get a discount of up to 50% off. Minimum discount is 10%, the eggs also have free gift items and one GOLDEN EGG has something really special inside. Complimentary Port Tastings and Chocolate Galore! Open Daily all weekend including Good Friday 10 am to 6 pm. Wedding Ceremonies – We will be creating an area in the vineyard for wedding ceremonies starting July 2019. 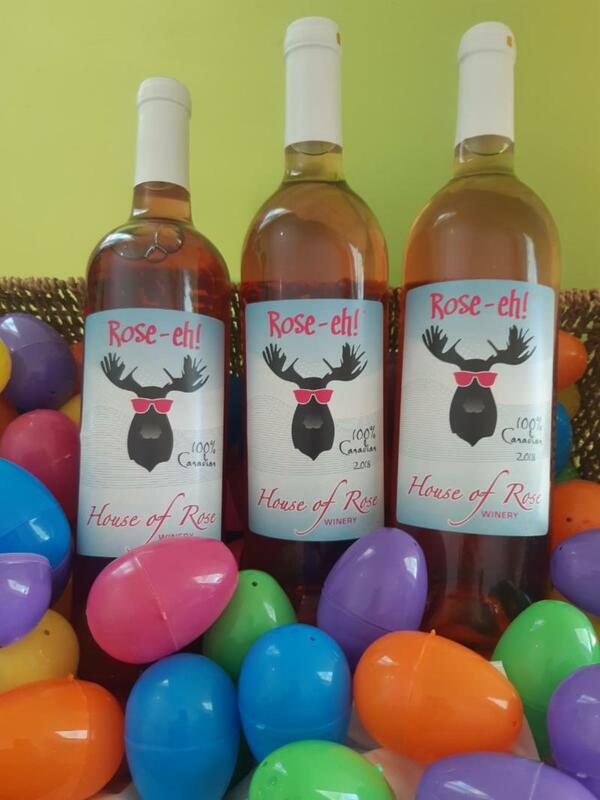 Wedding Wine – We can provide you with a special occasion label wine for your wedding: please contact the winery info@houseofrose.ca for details.